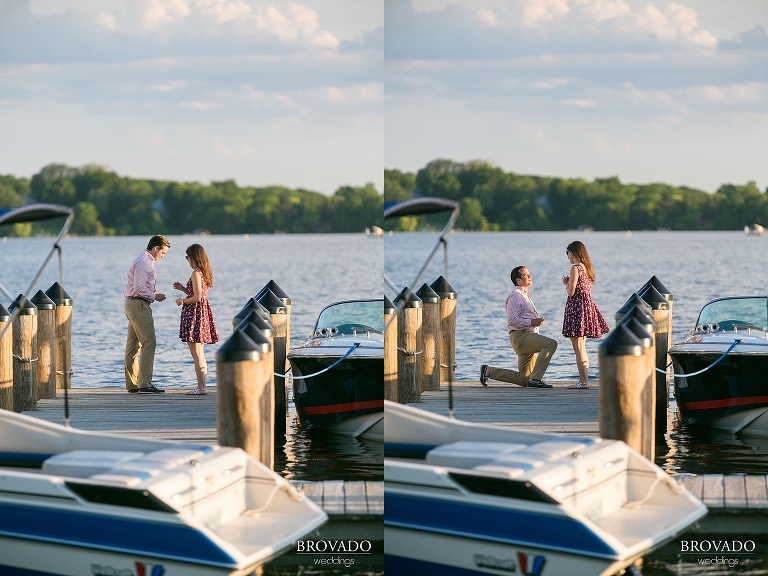 I had the unique opportunity to play paparazzi this week when I was commissioned by Paparazzi Proposals to photograph Eric as he popped the question to Allison on a dock in Wayzata, MN. 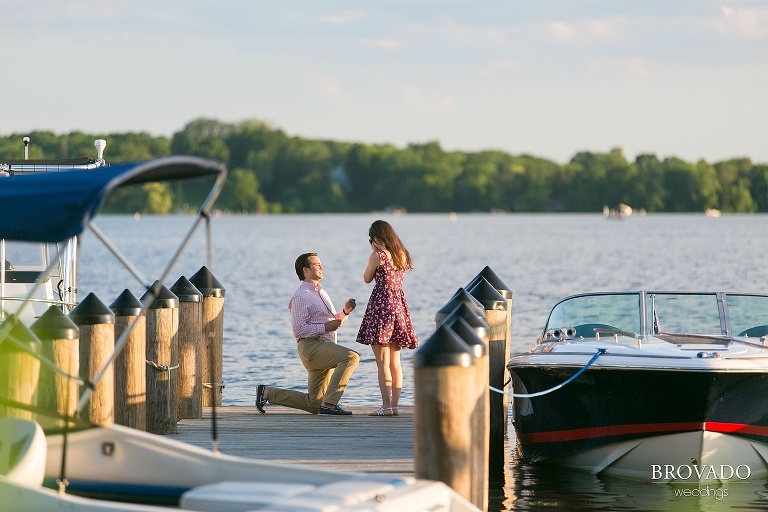 After a nice dinner at Gianni’s Steakhouse, the couple went for a stroll around Lake Minnetonka, where, after some canoodling, Eric suddenly dropped to one knee and asked Allison to marry him. Paparazzi Proposals is a photography and proposal planning service marketed to men like Eric who want to capture this special moment, and the priceless look on their love’s face, without spoiling the surprise. I had a lot of fun sneaking around to get these shots, and Eric and Allison could not have been happier!